Kanye West Says He Wants to Sleep with the Kardashian-Jenner Sisters on New Song "XTCY"
"You got a sister-in-law you would smash? I got four of 'em"
Kanye West spearheaded a string of five albums just a couple of months back, and now he has already rolled out a brand new song called "XTCY." In a move that's sure to make family reunions awkward, it includes lyrics about wanting to sleep with all of his wife Kim Kardashian's sisters. 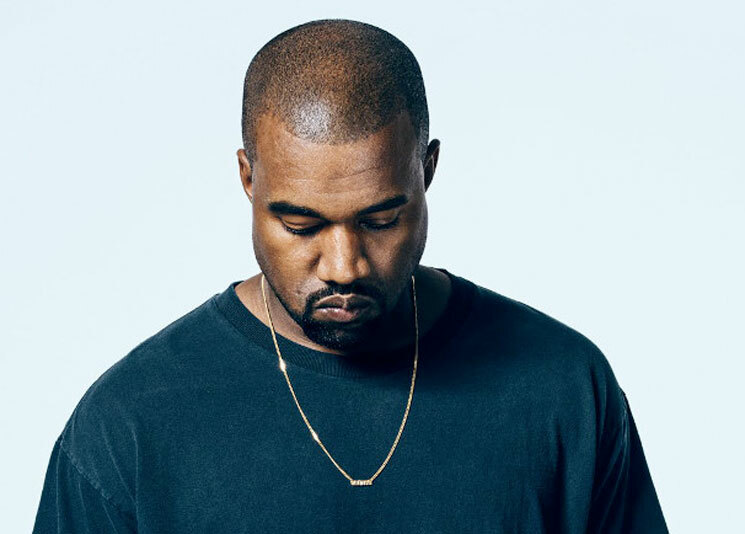 The song was released by DJ Clark Kent, who issued a tweet revealing that Kanye had told him to share it. The tweet included a link to a WeTransfer download, and Kanye retweeted it. Between with abrasive samples and sexual moans, and Kanye's opening lines are: "You got sick thoughts? I got more of 'em / You got a sister-in-law you would smash? I got four of 'em / Damn, those is your sisters / You did something unholy to them pictures / Damn, you need to be locked up / Nah, we need a bigger hot tub." Kanye's sisters-in-law are Kourtney Kardashian, Khloé Kardashian, Kendall Jenner and Kylie Jenner. But wait! That's not all! There's a breakdown where Kanye breaks out his high-pitched scoopy-woop-poop vocal scatting from "Lift Yourself." This comes shortly after an appearance on Jimmy Kimmel Live! in which Kanye was awkwardly unable to answer the host's questions about Trump. Kanye West's back catalogue is out on vinyl via Umusic, including Kids See Ghosts, ye, 808s & Heartbreak, My Beautiful Dark Twisted Fantasy, Late Registration and College Dropout.